This column will be the occasional "Hey, have you done" or "You gotta try this" which introduces you to or remembers some great quests. Our first one comes from Zylostout. 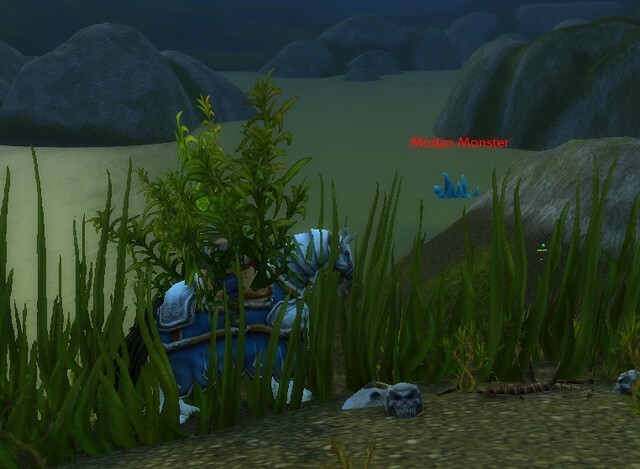 There's a quest line you can do in Loch Modan where you get to disguise yourself as a bush. I thought to myself, how far can I go while I am in this disguise? Is this a magical disguise, good for all sizes? If I mount up, will I be a giant bush? Well, I couldn't go very far and I wasn't a giant bush, but a bush riding a horse is an interesting effect none the less. The bush is the last quest in a rather amusing quest line that starts with "Who's In Charge Here?" and ends with "Axis of Awful".